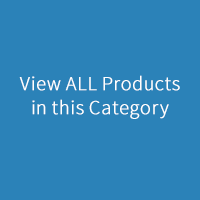 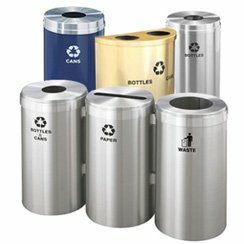 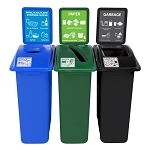 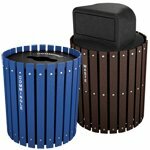 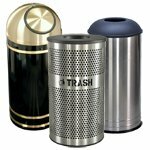 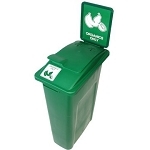 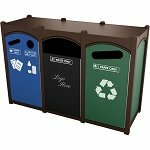 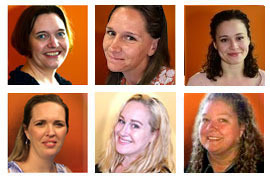 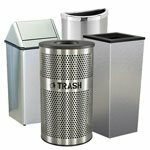 TrashcansWarehouse.com is proud to provide its customers with a wide range of trash cans on wheels, giving the wastebins more mobility. 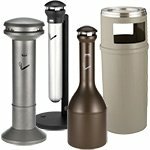 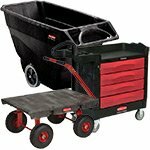 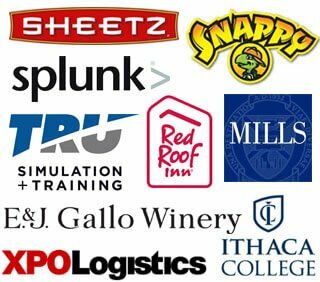 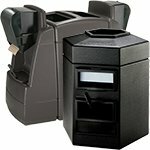 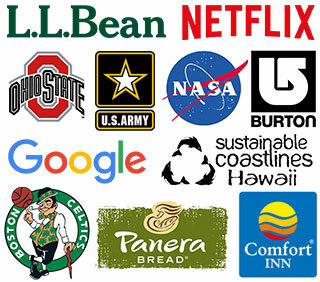 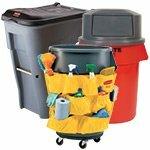 Whether you're a janitor or the proprietor of a business, you too can benefit from have a more moveable set of garbagebins, ultimately getting more utility out of your cans. 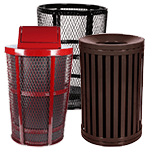 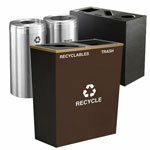 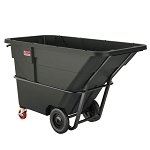 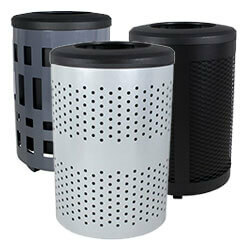 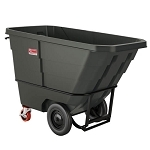 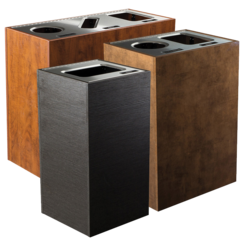 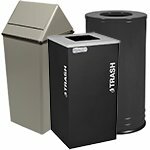 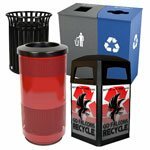 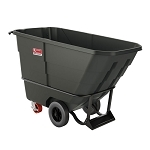 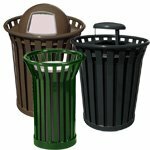 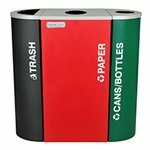 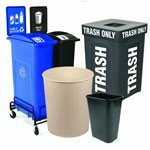 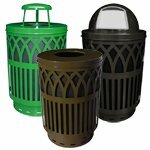 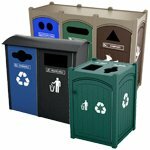 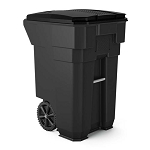 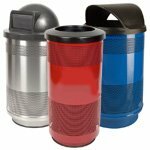 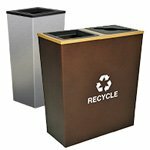 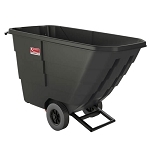 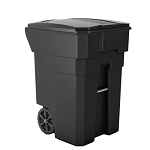 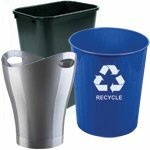 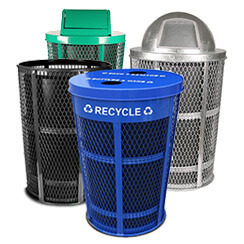 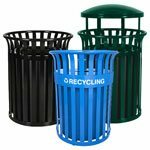 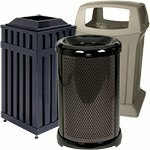 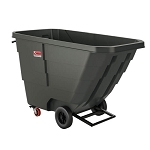 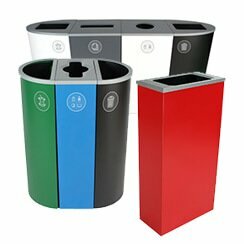 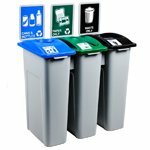 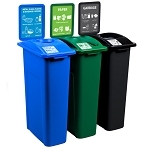 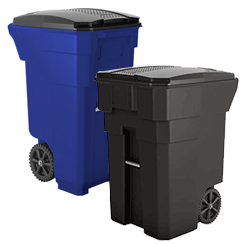 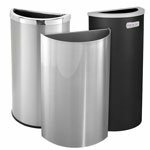 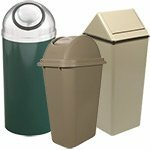 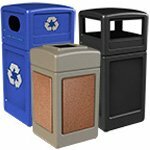 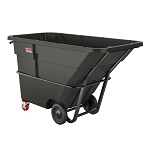 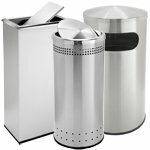 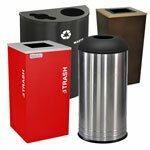 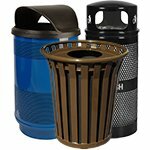 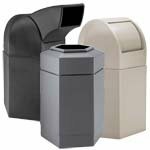 The 96 gallon Plastic Wheeled Trashcan is manufactured out of high-density polyethylene, giving it lots of strength and rigidity. 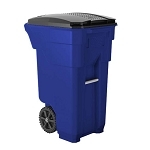 At 37 pounds, having this can on wheels is incredibly useful for helping to take out the trash, and is designed for both indoor and outdoor use. 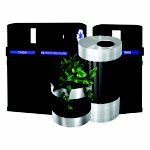 There are also 65 and 50 gallon versions of this can available, coming in at 29 and 24 lbs, respectively. 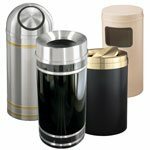 All of these cans come in stylish black. 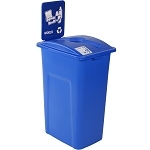 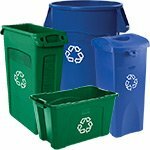 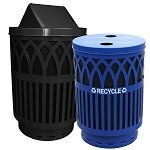 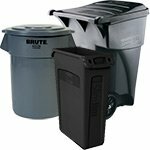 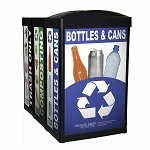 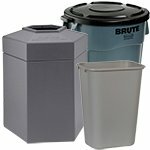 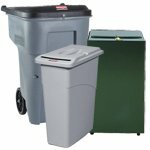 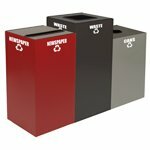 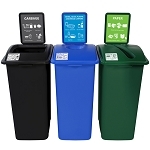 The 95-gallon Blue BRUTE Rollout Recycling Container by Rubbermaid offers a portable large size can that handle a large amount of refuse, and is designed for indoor usage. 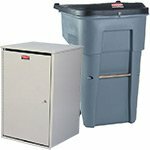 There's a 50 gallon can version that can also be acquired. 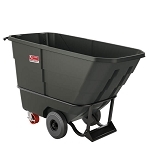 These heavy-duty cans have an easy-to-grip area that makes moving them more accessible. 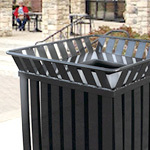 The base is ground-hugging, for greater stability over uneven surfaces and in high-wind zones.